Tired of being told "content is king", or that "your dealership needs a content strategy" without any follow-up context or tangible examples? 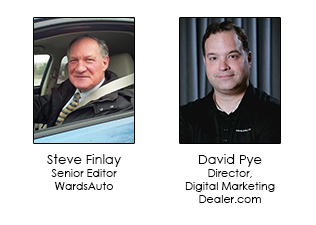 In this session, David Pye shares proven and emerging best practices for content with focus on all of a dealerships's revenue streams. Historical perspectives on search engines and their impact on dealership SEO in 2016. Real examples of successful digital content – including blog posts, custom pages and the importance of also developing existing content. A proven framework that any dealership can use to translate original strategic content into increased web traffic, shopper engagement, and conversions.